If you are looking for some extra earning then here Step by Step Schools offers a simple way to achieve it. Grab our Referral program opportunity which will help you. 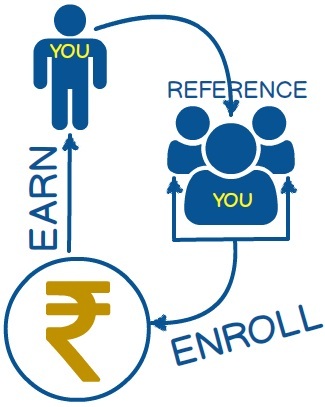 Simply refer a person for our any of the upcoming course and earn some handsome cash on registration. Let me explain how it works. Earning can be collected as a cash money or can be redeemed against a training. Cash money will be handed over to you only after training completion.